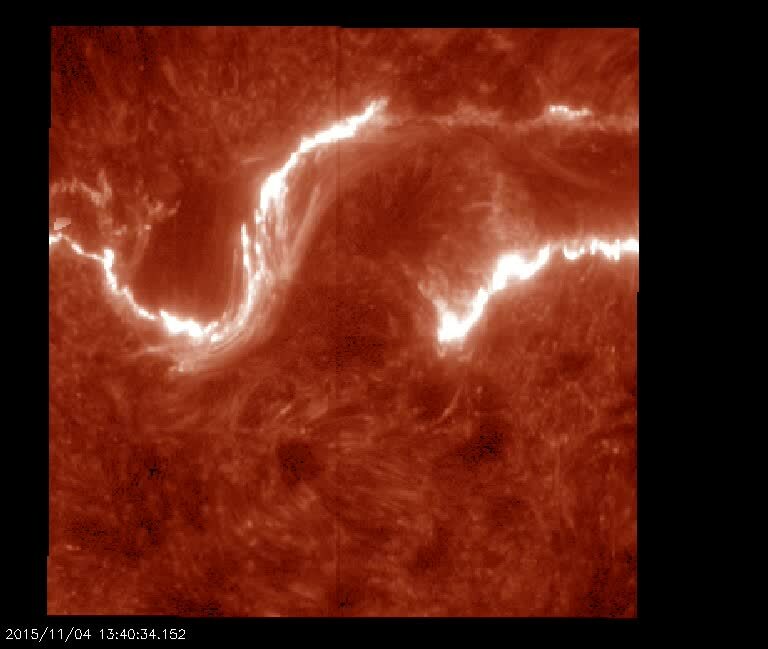 In this observation of the active region AR 12443, we see an M.7-class flare which erupted on 2015-Nov-04. At the beginning of the movie you can see a filament structure suspended above the solar surface near the dominant sunspot. Later, towards the upper right, the flare is triggered, resulting in a twin pair of ribbons expanding outward as magnetic reconnection splices together new loops. Finally, at the very end of the movie, we just catch the new loops in the center between the ribbons as the plasma cools back into the Si IV emission recorded by IRIS.